Flying to Daytona? Call ATP Jet Center! Quick, friendly service and the best fuel price in Daytona Beach! Since 1984, thousands of professional pilots have come to ATP Flight School for career-oriented flight training. 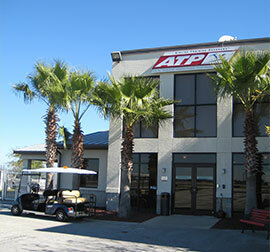 ATP opened its first new FBO facility at Daytona Beach International Airport (KDAB) in October, 2009. In addition to all the standard FBO amenities, ATP Jet Center offers the best fuel price with an internet pricing guarantee. As a member of the Shell Aviation network, ATP Jet Center accepts AvCard, Multi Service, and Shell fuel cards. Hangar space is available with fuel discounts for base customers. Located inside the new ATP Jet Center is ATP’s Daytona Beach Flight Training Center, providing flight training from Private Pilot through Instrument Rating, Commercial and CFIs. Just five minutes from Embry-Riddle Aeronautical University, ATP provides a great value to students who want to combine the academics of Embry-Riddle with the professional multi-engine flight training of ATP. Convenient and cost-effective flight training options are available to all levels of personal and professional pilots. “CHEAPEST FUEL IN THE AREA!! I fly in and out of Daytona many times a week. I am always greeted with enthusiasm by Jon, Adam, and Jim. They gladly tow my plane around for me, provide me with the best service (Red Carpet! ), and are always willing to go the extra mile. I enjoy it so much there that I now have a Hangar at ATP. As expected, the treatment hasn’t changed. Highly recommend! “On Nov 21 we had to stay in Daytona overnight due to flat tire on landing with our Experimental N484BD. The people at ATP were friendly and helped us with finding hotel and arranged for a rental car for our two little dogs and us. Next day we were able to fuel up at reasonable price and flew home to KPMP Thank you for your help. “I had to land At KDAB due to weather. I chose ATP, they are right off the end of the runway. WOW what a great friendly place. Let me explain. I landed, got fuel at the self serve, asked to rent a car, 5 minutes had the van. Manager told me he would take care of the plane. He would tie it down. Okay cool. Next morning I came to get the plane. He put it in the HANGAR overnight NO EXTRA CHARGE. Very friendly. Would do anything to make your stay better. Still not done!!! I took off for a 5 hour flight to PA. Landed at N94 and realized I had left my laptop at ATP, not good. My medical, EAPIS and other docs in it. ATP had already contacted my office and by the next business day they packed it and had it FedEx home. What a great place. Not to forget the cheapest fuel from my 4 day trip to Haiti. If only there were more FBOs like this. 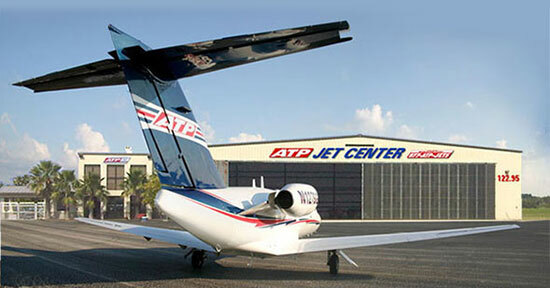 After-hours JET-A service gladly accommodated with a reservation. Updated 12/13/17. Copyright © 2019 ATP. All rights reserved.